As an avid Instagram, Snapchat, and Facebook Story user, I have to say shooting videos vertically is second nature to me. Unfortunately, I regularly get ridiculed for sending videos to colleagues and friends vertically, as most marketers know, if you want to post a video, it NEEDS to be horizontal. In the past few years, there has been a dramatic rise in the consumption of content on our phones versus desktops. So much so, Marketing & Growth Hacking found that video views on mobile increased more than 233% between Q3 2013 and Q3 2016 alone. Ericsson has even predicted that, in 2022, monthly mobile data traffic per active smartphone in North America will reach 25 GB. This is likely heavily due to video streaming. But what does this have to do with vertical video? 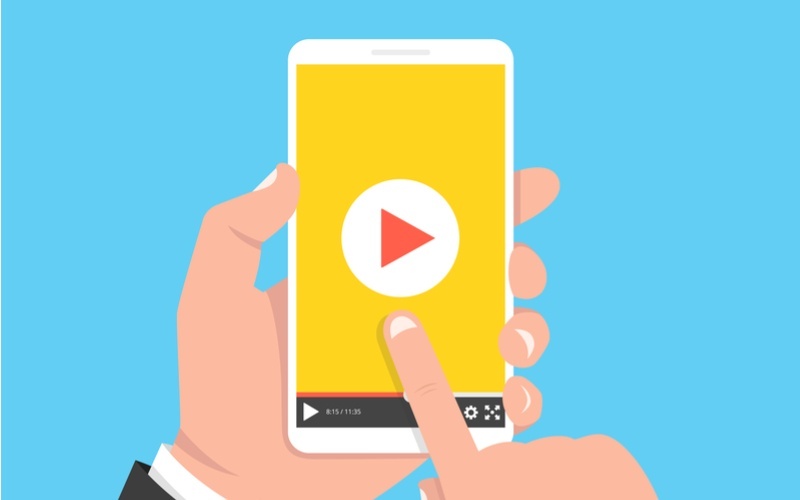 While video has always traditionally been horizontal, as people are filming and consuming more video on the go, it has adapted to mobile behavior. Smartphones are most frequently used and held vertically, so it became natural for people to do this as they were filming/watching, especially as Snapchat built it into their platform. As marketers, we need to adapt to consumer behavior and give them content in the way they want it most and that means going vertical! Breadnbeyond recently created this awesome Infographic, outlining consumer behaviors surrounding video content and video advertisements consumed on mobile devices and vertical video is clearly huge. In this infographic, the statistics of how vertical video is impacting consumer behavior will give you more insight into how video marketing is evolving an where vertical video fit in. Filming vertically has become second nature, as that is the orientation of our mobile devices. If you're like me, it takes a lot out of my hand strength to continuously turn my phone screen horizontally every time I have to watch a video. This is another reason vertical video is so effective. There has been a huge rise in video on social media in recent years. According to an article on Video on Social Media by wyzowl. Will Vertical Video Take Over? Now, I think it’s safe to say that not all viewings are suited for vertical video. I mean, can you imagine watching a movie in vertical? Probably not the most pleasant experience. However, as marketers, we should be adapting to consumer needs and their behaviors. Most social ads are being viewed vertically on mobile devices and the numbers don’t lie. It seems that this phenom will continue to rise so plan accordingly!